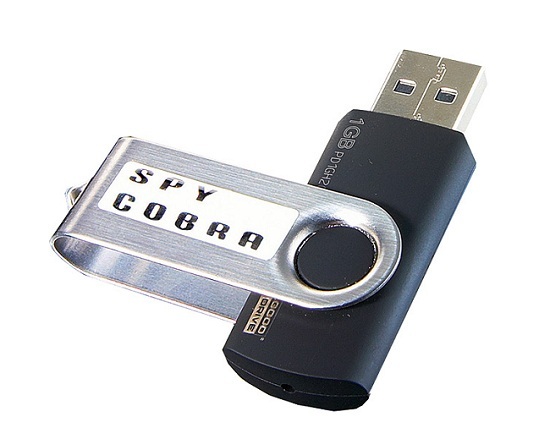 Spy Cobra is a small USB device that works in stealth mode to spy PC activity in real time. Do not mistake it with other flash memory drives as this is what it exactly looks like but is a perfect tool for those who want to monitor the activities of their employees, family members etc. The spy cobra PC spy only measures 5.5 x 2 x 0.75 cm and easily connects to any USB port on both PC and notebooks. The basic difference between this PC logger and other USB based key loggers is the fact that you need not to keep it plugged in to log data from the computer. Just plug the Spy cobra in the USB port for a few seconds while the device installs a logging software in stealth mode encrypted to remain undetected by any Anti-Spyware and Anti-virus utility. Usually the PC spy takes about 15 seconds to install the software. The Spy PC software will install screenshots in real time. It logs every single key that the user presses on his or her keyboard including all the website URLs that are typed in by the user. The Spy Cobra has a 1GB internal memory which can store up to 10,000 screen shots and nearly 10 years of typing. The Spy Cobra stealth software stores all the logs and screenshots on the computer that is being monitored so when you want to extract all that data you simply have to plug in the Spy Cobra USB in to the PC and the USB device will automatically download all the logs and save them in its 1 GB internal memory. The Spy Cobra is the ultimate PC spy which you can use virtually on any PC to find out what others are watching, typing in your absence. Because of stealth mode PC logging technology, we rate this gadget 8/10.